Ready for it's new owner. A brick ranch with fireplace in the dining area. Open floor plan. New flooring in kitchen, dining and hall. HVAC and Septic less than 2 years old. Over sized garage and fenced back yard. Corner lot. Grass is like a beautiful golf course, thick and cushy. Home has vinyl boxing and all major kitchen appliances to remain. Washer and Dryer to remain. Pictures show house furnished, currently empty. 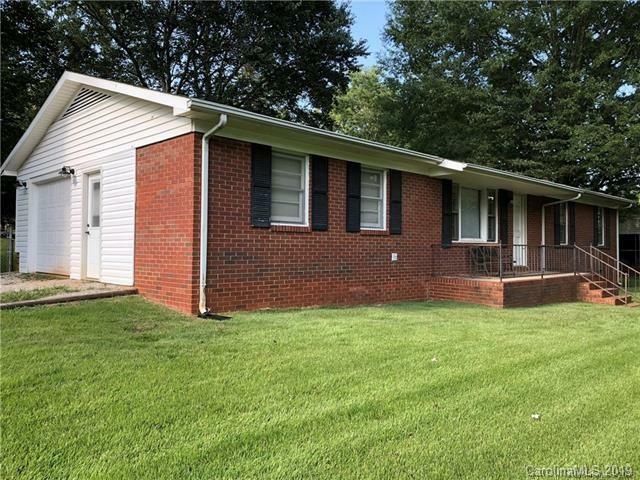 Close to shopping, schools, restaurants and located less than 10 minutes from I-77 and I -40. House is being "SOLD AS IS".